The piazza-style entry way complete with a bubbling fountain sets the tone for the casual elegance found in Azure resort. 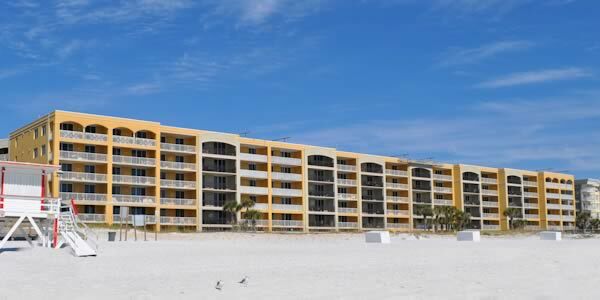 This resort, built in 2005 developed a new standard for luxury living on Okaloosa Island. 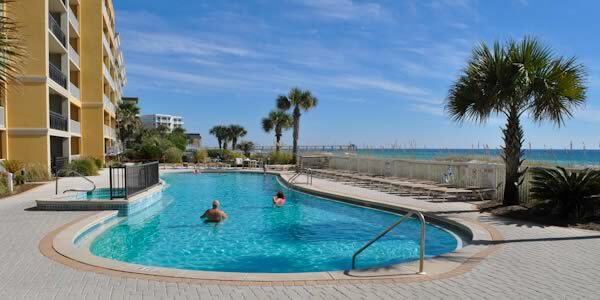 The Azure condominium is a Gulf front six-story Mediterranean resort in Fort Walton Beach. The three and four bedroom units have high-end appliances and fixtures, granite counters, and whirlpool tubs. Relax on the generous balconies overlooking Gulf beaches. This vacation paradise boasts two large gulf front pools each with hot tub, a fully equipped exercise room, children's spray park, covered garage parking and a boardwalk, that is wheelchair user accessible, leads to the attractive beaches for which Northwest Florida is famous. The property includes grills and a picnic area, lush tropical landscaping and has a 515-foot dedicated beach for its owners and guests to enjoy. Azure's location is convenient to restaurants, shopping, and many local recreational attractions. If you are interested in buying one of the 135 beachfront condos at Azure, available units sell for prices between $400,000 and $700,000.